Massachusetts wine retailer Yankee Spirits is running a 20% off sale on "Yellow Dot" bottles of wine. With locations in Attleboro, Swansea, and Sturbridge they're a retailer I've heard good things about but have never personally visited. I noticed the Yellow Dot sale on their e-commerce site while poking around Wine-Searcher looking for a great price on Casanova di Neri Tenuta Nuova. After being blown away by the 2006 Tenuta Nuova and then visiting them this past summer I was interested in picking up some more of that specific bottling. But I didn't want to the ~$80 release price the wine comes with. So I was thrilled to see the 2008 Casanova di Neri Tenuta Nuova for just $49.98 (with no tax in Massachusetts). As is often the case - procuring this wine becomes a tricky proposition. If you buy just one bottle the per-bottle shipping costs will wreck the QPR. If you buy too many bottles of the same wine you might not find enough occasions in the next few years to justify the financial outlay. And if you buy too many other "filler" bottles to round out the order you might end up buying more wine than you really wanted. If you're like me you've got more wine on hand than you really need or want. Yet you find yourself lacking compelling wines at guilt-free price points you can open and enjoy and enjoy any time. So my strategy here would be to secure a bottle or two of the target bottle (for me the Tenuta Nuova) while replenishing my stock of reliable favorites and exploring a bit in a new area of interest. The way this Yellow Dot sale works is you get 20% off qualifying bottles so long as you buy a total of 12 or more assorted bottles. Their regular 12 bottle case discount is 10%. And some items (like the Tenuta Nuova) are not eligible for further discounts. Given these parameters I'd recommend searching their website in categories of interest and putting together a mixed case based on your areas of interest. This is the best price currently available for any vintage of Tenuta Nuova anywhere in the US on Wine-Searcher. 94 points Wine Spectator. Great stuff, great buy. I've been on the prowl for these Spanish reds since tasting them on our flight back from Europe. The $19.99 is only eligible for 10% off but it's the one I liked. The $14.99 one is eligible for 20% off. I'd be willing to try some of both. Honig's bread & butter is their reliably delicious and affordable Sauvignon Blanc and their terrific Napa Cab. They've got these at favorable prices as well as some more rare bottlings. This is the best Oregon Pinot Noir I've ever had and after it landed in Wine Spectator's Top 10 last year it's been hard to find it around. Contrary to my preference for California Pinot Noir over Oregon Pinot Noir, I've been having better luck with 2012s from Oregon. This one got 91 points for Spectator. I've enjoyed prior vintages. Good QPR here. The vintage isn't mentioned here but you know what? Doesn't matter. This is a solid bottle of wine year in and year out and I can never seem to keep it on hand. Now this is what I'm talking about. I've been really enjoying Melville and Brewer-Clifton Pinot Noirs lately and this one goes back to the 2009 vintage which was so reliably delicous. 92 Wine Advocate for this one. At 20% off that drops it down to $24/btl + ~$3 for shipping which lands it at an attractive price point for the quality. Banshee wines have been a reliable friend over the years. At $16 plus shipping this is sure to go quickly through the rotation. I went into our visit to Fattoria di Felsina looking to see what else they had besides Fontalloro and discovered I like Rancia as much or more. And it's a bit cheaper. Since discovering this one at The Capital Grille a couple years ago then going absolutely crazy for it while visiting in person I still can't seem to keep this wine on hand. The best I've seen this for is around $12/btl. So as a filler to get to $13.99 before discounts - without having to leave the house - this is a solid addition to a mixed case. 94 points Wine Advocate? For $12.99? Don't be afraid to search under $15 when you're looking at Spanish wines. The QPR sets the standard for the world. The Castano family is the real deal. I love their $6.99 bottling. Although I tasted this on their property I was probably distracted by how good their entry level bottling was. I've got to go back and taste this one on my home turf. Another Spanish red from Gil Family Estates I've wanted to try. Love the QPR of these Spanish wines. Shipping costs about $36 for a case to MA addresses (and like all MA retailers they can't ship out of state) so be sure to add $3 to each price in your head to see if it's a good deal. More affordable wines might be better to buy at a store you can drive to. This Yankee Spirits Yellow Dot offer valid in October 2014. If you like hearing about wine deals but don't want to spend time wading through junk check out new WWP advertiser Wine Nabber (read more). I wrote about them last year and I'm pleased to now have them as a site sponsor. Retailers: If you're running a sale and would like me to peruse it to surface up some great deals drop me an email and I'll have a look. 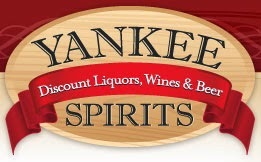 Question of the Day: What are some of the best deals you see at Yankee Spirits right now?